Nissan Motor Co., Ltd. announced last week the launching of three special editions: March 25th Happiness, March Plus Safety and March KISEKAE, which includes special characteristics for celebrating the 25th birthday for the model. 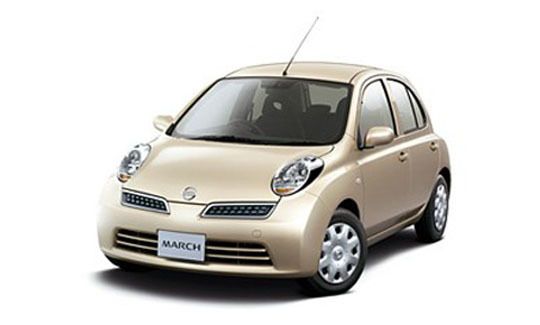 March 25 happiness, based on March 12S and 14S Four is painted in a special color, Silky Beige, March Plus Safety has many security accessories: lateral airbags for driver and front passenger and xenon lights. March KISEKAE offers 2 seat sets: Bubble or Striped, for satisfying diversified customer tastes.